Alexandre O. Phillippe's new documentary "Memory: The Origins of Alien" takes the audience into the history of one of the scariest movies ever made, revealing where the film's most terrifying ideas and how they were brought to life. It's an in-depth documentary featuring cast, crew and film critics alike sharing stories about "Alien" and what it really means. In his review of "Memory" at The Wrap, William Bibbiani says the documentary "oversells its thesis — and suffers from glaring omissions — it’s a thoughtful love letter to a fascinating classic." 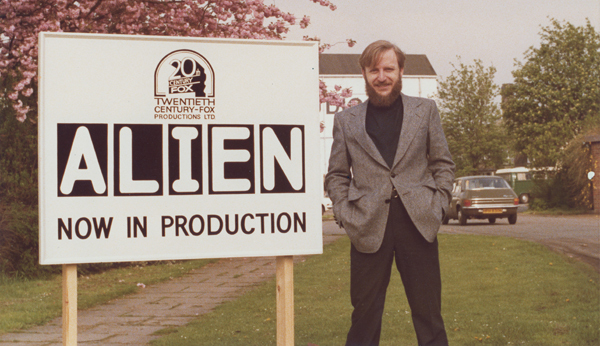 Top Photo: Writer Dan O'Bannon on the Shepperton Studios set of Ridley Scott's 'Alien.' Photo courtesy of The O'Bannon Estate.